The snow has all melted away and we’re starting to get a bit of cabin fever here in Southern Ontario. Our lawn equipment gets an oil change in the fall so all there is to do is to put some quickshot in the gas can and fill up the tanks. Here are two products that go hand in hand. One makes the grass grow thick and strong while the other protects your outdoor power equipment for another year. 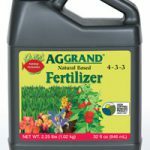 The AGGRAND Hose-End Sprayer kit (G1102) is an easy way to spray the quart sized bottle onto your lawn and garden. A quart sized bottle should give you 2 to 3 feedings for an averaged sized lawn. 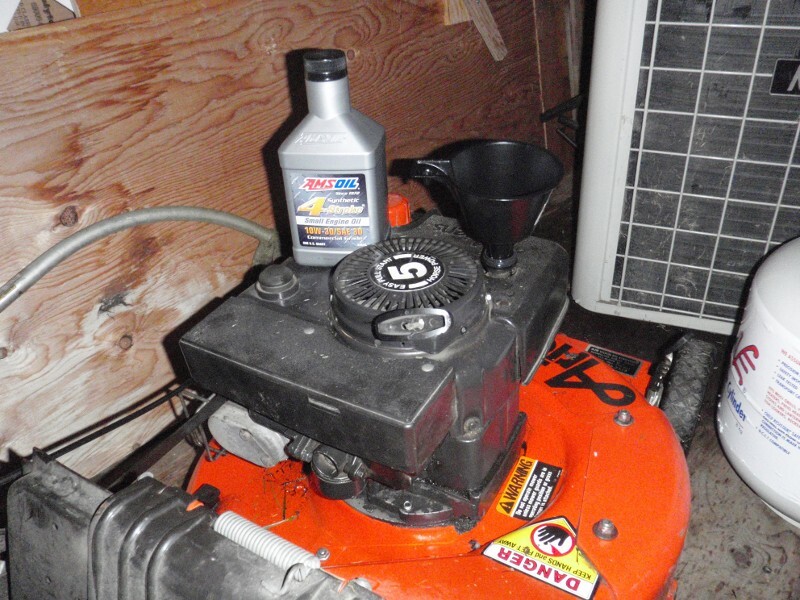 A post I made in 2011 talked about how to select an oil to use in your snow blower. Things have changed recently in the minimum API specification of automotive oils that have outdated those suggestions. The new API SN specifications have lowered the amount of ZDDP anti-wear additives so much that I’ve decided to no longer suggest regular vehicle oil to be used in air cooled lawn and garden equipment. Air cooled equipment is abused and works so much harder in a much more difficult environment than your daily driver liquid cooled vehicle. The cost of a quality oil – which is just a few dollars more – versus the possible repair bill is something you’ll have to choose. 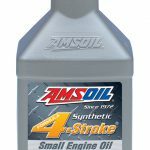 I made my choice based on my recent experience with an over rev’ing situation which needed the extra protection of an oil designed for air cooled outdoor power equipment. This is a new video from the AMSOIL Information series about snow thrower maintenance – including storage over the summer. Since the temperature hit 17°C today it seems like the right time to start thinking about putting the snow blowers away and looking at preparing the mowers for fresh spring grass. The snow blower didn’t even get used this winter at our house in Mississauga so it should be a very easy job this year. If you’ve used quickshot all winter you should now add a proper fuel stabilizer to your last tank or run/drain your tank dry before putting the machine into storage this summer. I’ve updated these suggestions – please click here to see my new snow blower recommendations. AMSOIL has a variety of oils that will protect your snow blower this winter. The first step when deciding what oil to run in your snow blower is to read the users manual. Usually it suggests a 5W-30 or synthetic 0W-30 oil since you’ll be running the equipment in sub-zero temperatures. Every time someone asks me what oil they should use in their snow blower it usually leads to a much longer conversation as I end up asking these questions. Do you have a 2-stroke or 4-stroke engine on your snow thrower? What oil are you currently using in your vehicles or other OPE? How cold do you expect winter to be in your area and where do you store your snow blower? Do you purchase fuel that doesn’t contain ethanol? The second time I went to mow the lawn with our Ariens mower it had a hard time starting and sputtered to a stop shortly after starting. When I opened the fuel tank to take a look it was empty. That was unexpected since I filled it a week earlier and barely use any fuel to cut my lawn. So I got a carburetor rebuild kit and two feet of fuel hose from Cliffs to rebuild the carb and replace the fuel line. There was a few rough spots in the fuel line when I inspected it – a nick or two near the finned combustion chamber. I did notice the oil level seemed to be creeping up slowly. I had a feeling the oil was being contaminated with fuel so that had to be changed. 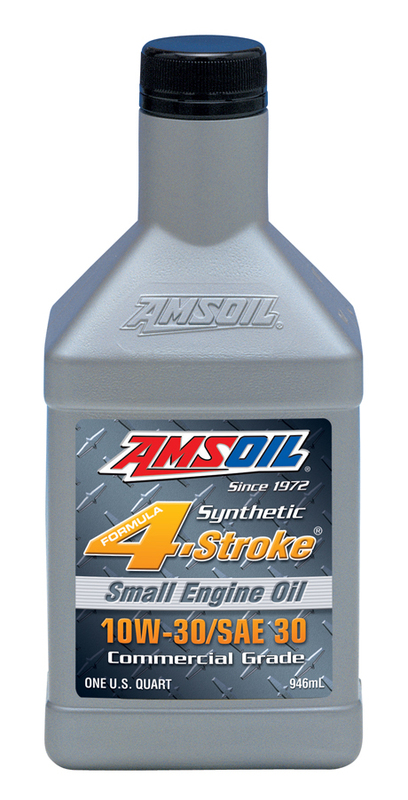 This was a great time to put in some AMSOIL 10W-30/SAE 30 Synthetic Small Engine Oil.